The median price of a home in the United States has been rising for years, and the trend is expected to continue. For an entire generation, that means the American dream of homeownership seems increasingly out of reach. Housing affordability is no longer simply a challenge for low-income families, but for the middle class as well. How can communities address these challenges, ensure affordable housing, and bring home ownership within reach to more Americans? 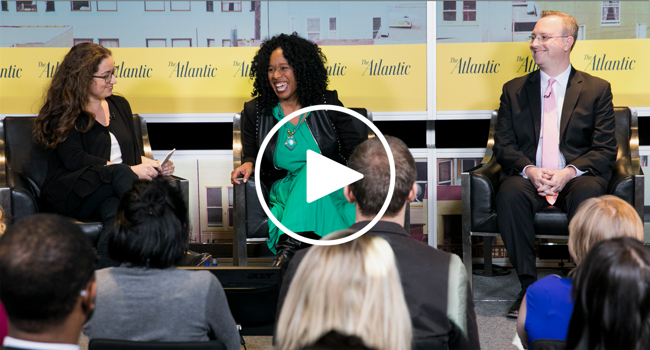 The Atlantic convened civic leaders, developers, policymakers and residents for an in-depth conversation on the state of the real estate market and the path to expanded access to affordable housing. *This speaker participated in a session that is produced by one of our Underwriters and not by The Atlantic's editorial team.